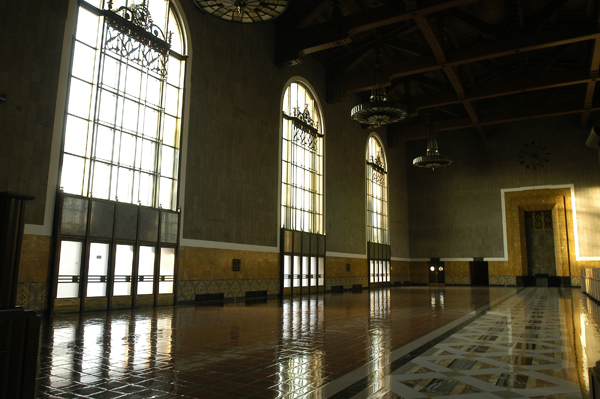 Special tours are offered this month in celebration of Union Station’s 75th anniversary. 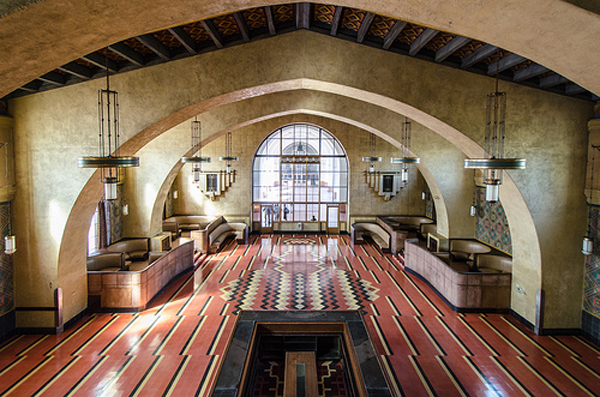 Led by trained Metro Art Docents, the tours cover historic Union Station architecture and spaces not generally open to the public, including the old ticket concourse and former “Fred Harvey” restaurant, which operated 1939-67. 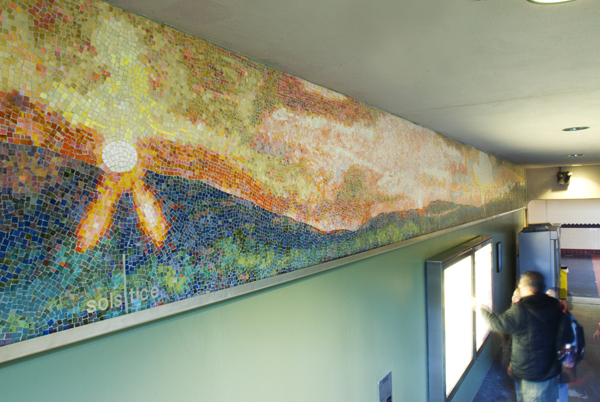 Additionally, the tours explore artworks located in the Gold Line Portal, East Portal, inside the Metro Gateway Headquarters Building, and new artworks in the passageway. Tours are free, and reservations are not required. 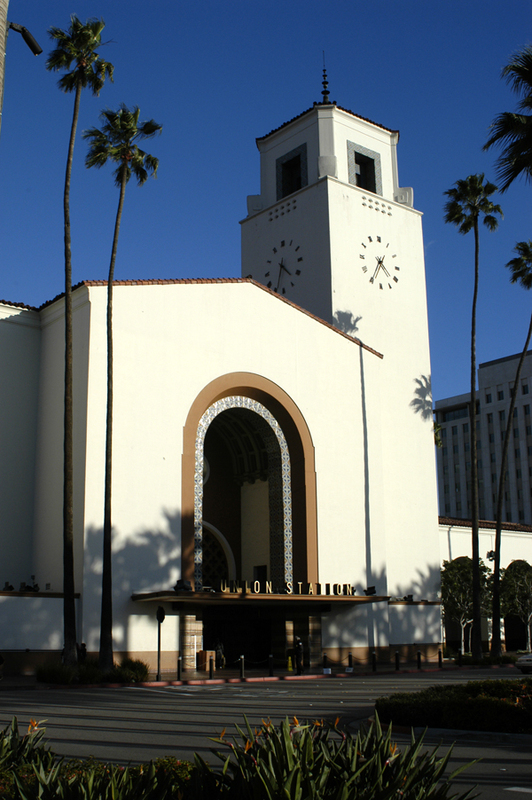 Meet at the information booth inside the Alameda Street entrance to historic Union Station. 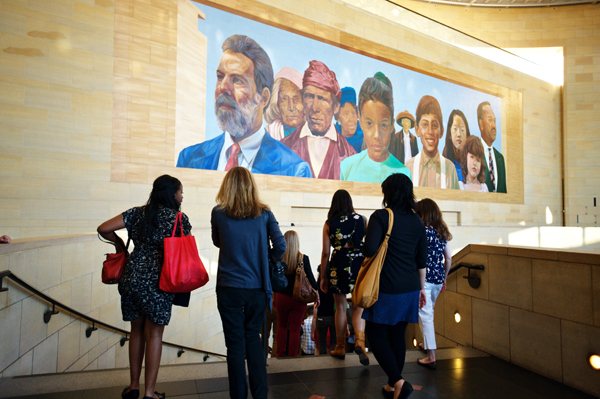 For more information visit metro.net/art and click on Art Tours or call 213.922.2738. Solar Shift: San Bernadino and Santa Monica by Roy Nicholson, 2006. Interior view of the Fred Harvey Restaurant.